Cherries are still in season people! 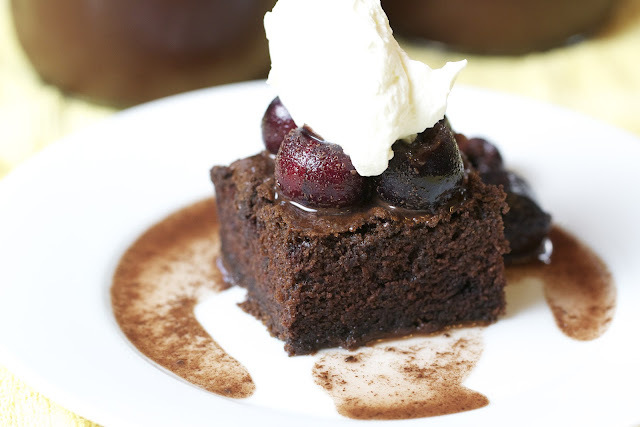 If my pie and sorbetto haven't tempted you, these dark chocolate cherries are guaranteed to. They are incredibly easy to make and the hardest part is just waiting for them to be ready. 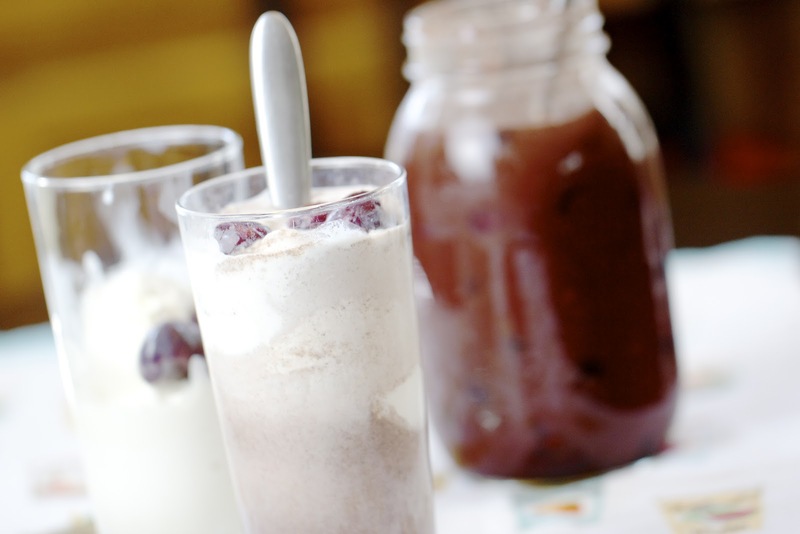 I came across this recipe when Kate In The Kitchen posted about her adventures with cherries and I knew that I couldn't pass them up. Simple syrup is created by heating water and sugar together. 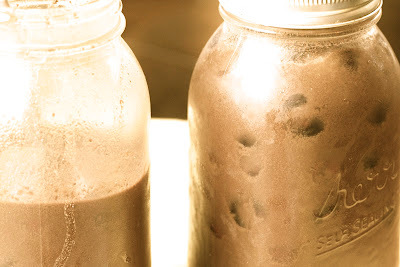 Dark Chocolate is then melted into the syrup before being poured over cherries packed into a quart jar. They're then sealed for up to two weeks to create a beautiful dark chocolate treat! Your next hardest decision is going to be deciding how to use them. Our first try was pouring the cherries and juices over a large piece of chocolate cake and topping them with whipped cream. The sweet juices soaked into the cake and the chocolate cherry flavor was a perfect combination. I was surprised at how well the cherries held up too. They were still firm and crunchy and yet they had absorbed in that sweet chocolate syrup. Our next adventure was once all the cherries were gone but there was still syrup left in the bottle. 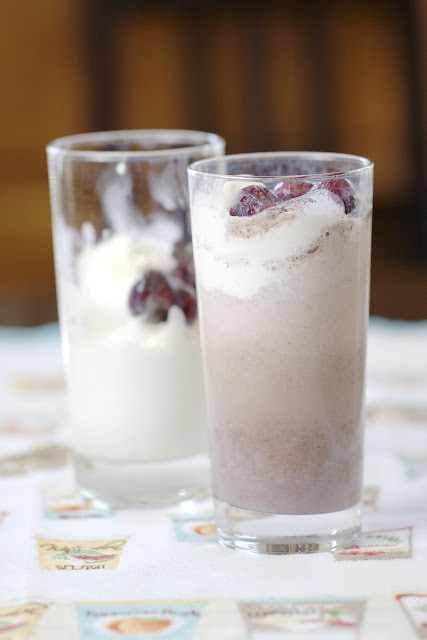 We mixed the syrup with some sparkling water and then poured it over homemade vanilla ice cream to create chocolate cherry ice cream sodas. To make the sodas, you just mix equal parts of the syrup and sparkling water and then pour over ice cream. Check out this site for the whole recipe. Enjoy! 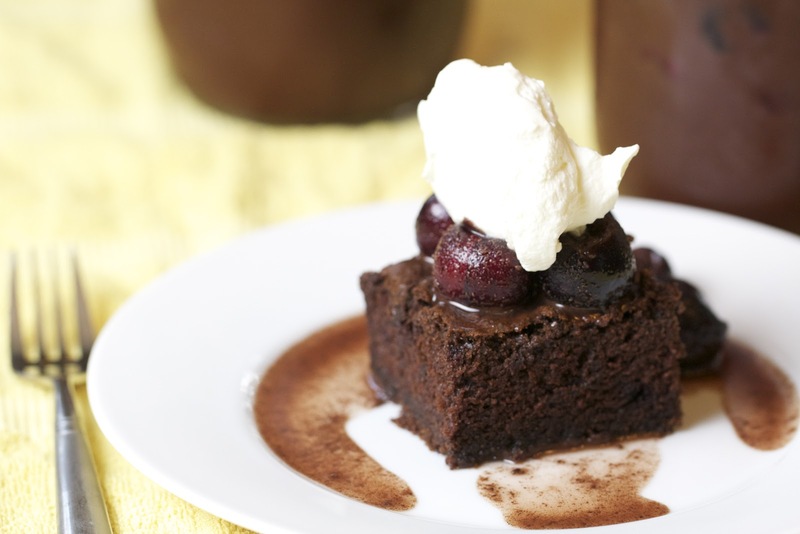 I love chocolate and cherries together, this sounds great!